Hunting small game with a crossbow teaches muscle memory to better prepare hunters for high-stress shots at big game. Individuals who routinely succeed during times of intense duress do so because of motor learning. Motor tasks are ingrained into their memory through repetition so movements in performing a task can be accomplished without conscious effort. Whether you’re a member of the Special Forces community, a mixed martial artist, or a crossbow hunter who wants to be mentally prepared and accurately shoot when a big buck presents an opportunity in the fall, relegating specific motor tasks to muscle memory is beneficial because it frees the mind to focus attention elsewhere. Crossbow hunters can greatly benefit from such routine practice and they need not spend hours piercing cube-shaped or animal-like foam targets to do so. Instead, simply head afield to pursue the underutilized resources of small game, varmints and predators to build muscle memory and improve crossbow shooting accuracy, which ultimately will lead to increased odds for success while crossbow hunting big game during the fall. Before delving into a discussion about honing crossbow hunting shooting skills and establishing procedural memory, it’s prudent to detail equipment best suited for hunting the small game. Because you want to build familiarity with your big-game setup, I wouldn’t suggest changing anything on the crossbow itself; instead, focus on the crossbow bolt and the point. As you’re likely well aware, arrows launched in the horizontal position – as opposed to those shot downward from a treestand – can be tough to recover in tall, thick vegetation; this is why I recommend using crossbow bolts equipped with lighted nocks, such as Omni-Brite nocks from TenPoint Crossbows. Even if you temporarily lose one, returning to the shot location during low light conditions – dusk, dawn, or at night – you stand a good chance of locating the missing bolt. 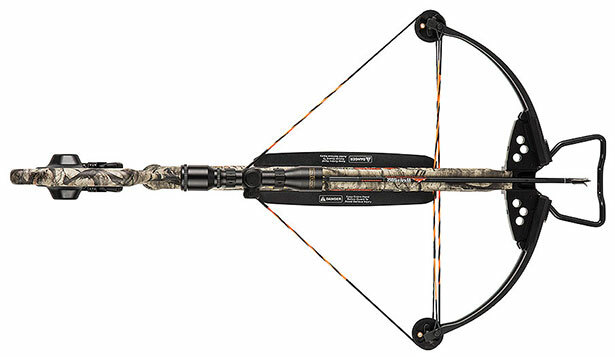 There is no need to make any alterations to your big-game crossbow for hunting small game. Just swap out broadheads with field points on the bolts. If crossbow bolts equipped with lighted nocks are not in your budget, pick your shots more carefully; avoid shooting into thick, tangled flora, where a bolt is difficult to see and recover. Regardless of which nock type you use, be aware of what’s behind and beyond your quarry, as bolts can ricochet. Striking a hard object, such as a stone, can damage them, too. And by no means should you ever take an elevated shot at a squirrel in a tree. Doing so is dangerous. The type of crossbow-bolt point chosen depends on the intended quarry. For small game, such as squirrels, rabbits and upland birds, it’s recommended to utilize a small-game-specific point; they will yield a higher harvest rate, and also help prevent bolt loss by grabbing flora during a miss. Although accurate, field points without an adder behind them can lead to lost quarry – especially squirrels – and bolts. Even with a lethal hit from a field point, a squirrel can still make it into their den, which is a good reason to use an adder. 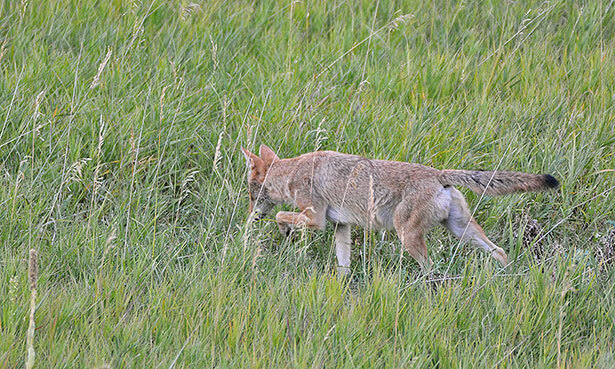 If crossbow hunting for fox, coyote, or similar-size predators, a broadhead should be your go-to point. This is the perfect use for once-used broadheads which, though still fairly sharp, should no longer be used for big-game crossbow hunting. I also prefer to use old broadheads for groundhogs. Getting close enough for shots on wary woodchucks in open fields will hone crossbow stalking skills. The author recommends using old broadheads for this type of small-game crossbow hunting. Check out TenPoint’s full line of crossbow bolts and crossbow accessories to gear up for small- and big- game crossbow hunting. Think about the last time a big buck, elk or bear approached your setup. Bet your nerves were rattled, the adrenaline was surging, and you quaked unstoppably. Did you experience success or reap regret? If the latter is true, it’s likely due to an error in movement or a process that could have been transferred to procedural memory and eliminated from the equation at the moment of truth. Remember, in high-pressure situations you’ll devolve to your lowest level of practices, including accuracy. This is why it’s critical to actually hunt with a crossbow as practice, not just impale lifeless foam targets. Small-game quarry have equally minute vitals to hit, requiring you to become proficient at aiming small. But aiming is just one aspect of a series of interrelated steps involved in accurate shooting. Breathing and trigger control are just as important to master to become a good shot with a crossbow. Triggers on quality crossbows like TenPoint’s Invader G3 are excellent. Using big-game rigs like this on small game will lock smooth trigger control into muscle memory and better prepare a hunter for deer season. With the crossbow shouldered, aimed and the safety switched to the fire position, slowly exhale. When you near the end of your respire, gently squeeze the trigger. Don’t move until the bolt has impacted – whether a hit or miss – to ensure a proper follow through. 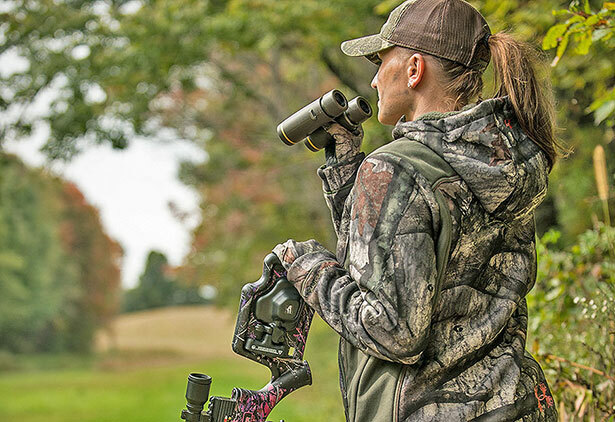 Because of the volume of small-game species and liberal bag limits, there are ample opportunities throughout the offseason to practice and fine tune crossbow shooting skills. For example, ground hogs are readily available during warm-weather months and, depending on your state, could have no daily limit. In Virginia, there’s a continuous open season for them on private land. In addition, there are both fall and spring squirrel seasons with generous bag limits in my home state. It’s likely your state is similar. Best of all, because you’re actually hunting with a crossbow, the stakes are real and your body will react similarly – especially if you’re calling predators – when hunting for larger species. As such, when you encounter a trophy big-game animal in the fall, you’ll be more in control of your body and mind. You’ll also be trained to instinctively shoulder your crossbow, aim and execute a perfect trigger pull with a flawless follow-through. Concerning aim, since you’ll be accustomed to striking small targets at a distance, you’ll easily be able to deliver upon the “aim small, hit small” adage on the vitals of larger game animals, such as white-tailed deer and elk. In addition to transferring the shooting fundamentals to procedural memory, crossbow hunting small game provides numerous opportunities to practice important field crafts, such as observation, range estimation and stalking. 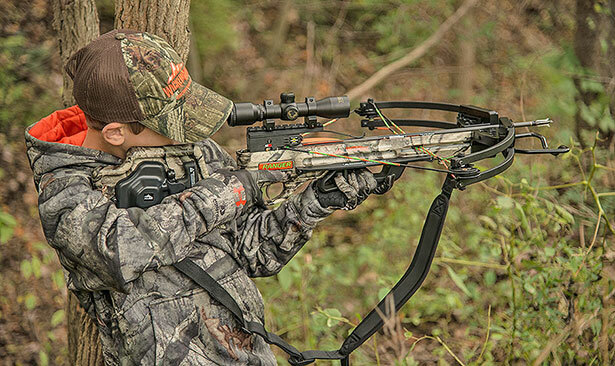 In addition to sharpening shooting and accuracy skills, a day afield chasing small game is a great way to introduce children to crossbow hunting. 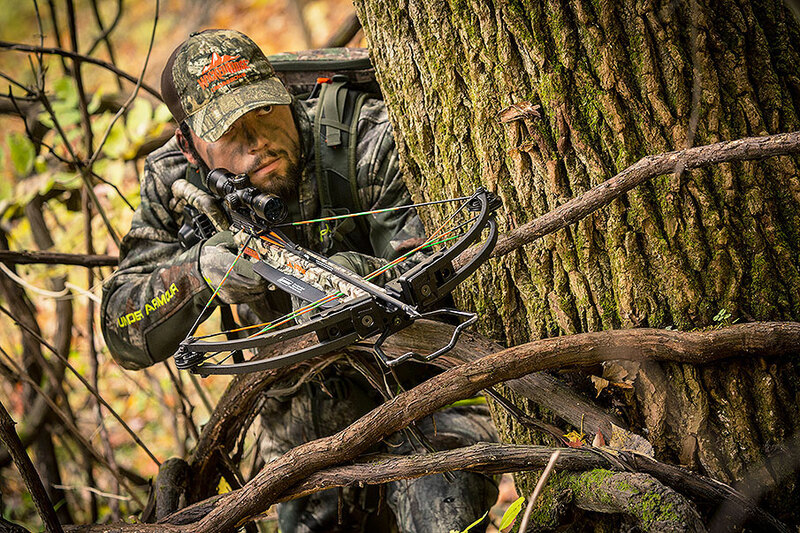 Come fall, you’ll be accustomed to observing, making a plan of attack, and stalking close for an accurate, well-placed shot. You’ll also become a better judge of distance, for those instances when there’s no time to use a rangefinder. There are numerous benefits to crossbow hunting for small game, including preparation for larger game in the fall hunting season and building muscle memory for more accurate shots. But, to be honest, it’s just plain fun, too.